This performance slip-on muffler for the Polaris RZR 570 is designed for maximum airflow without increasing sound level output. It provides a 32% increase in airflow over the stock silencer. This results in a substantial performance improvement, showing better throttle response as well as top-end horsepower. Will not fit 2012 570 RZR. This performance slip-on muffler for the Polaris RZR 570 is designed for maximum airflow without increasing sound level output. It provides a 32% increase in airflow over the stock silencer. This results in a substantial performance improvement, showing better throttle response as well as top-end horsepower. 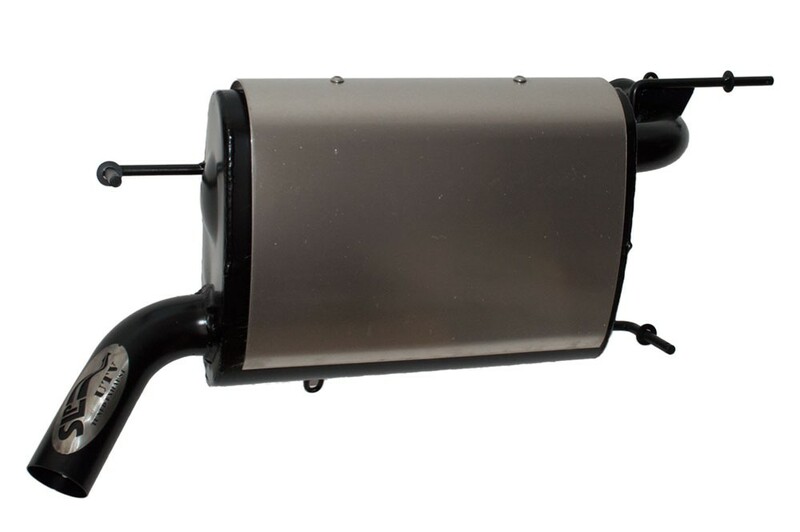 It comes in similar to stock @ 88 dBA on the SAE J1287 test for a trail friendly performance muffler. It also features a removable spark arrestor. Will not fit 2012 570 RZR.